First chapter today of the whole VCP-DCV 2019 study guide which has 41 chapters to cover. We cover the chapters in no particular order. 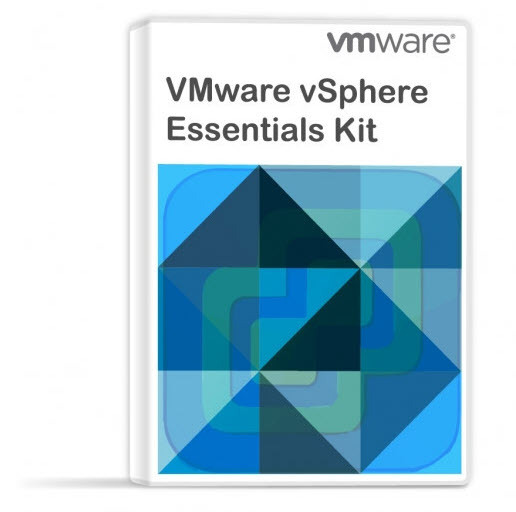 The study guide page is here – VCP6.7-DCV Study Guide and it is a “work-in-progress”. 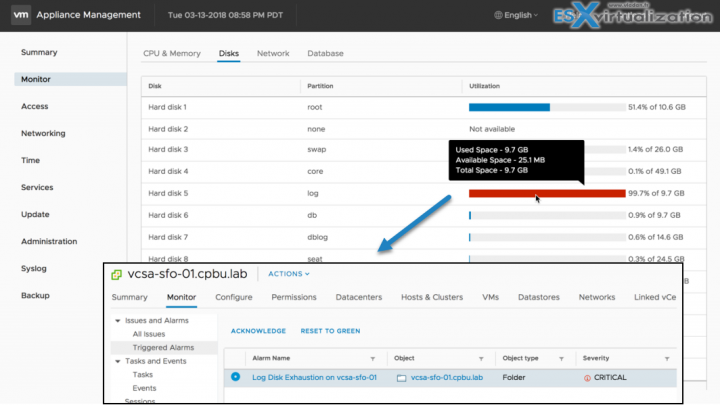 Today’s topic is Objective 5.2 – Monitor resources of VCSA in a vSphere environment. Chapter after chapter we’re getting closer to fill the blueprint objectives and help students to study and pass the Professional vSphere 6.7 Exam 2019. Since there are no special guidelines and sub-chapters like in the VCP6.5-DCV Study Guide, we basically cover what we think that’s important for that chapter. However, you should not rely on our information only. In order to become VCP-DCV 2019 certified and pass the Professional vSphere 6.7 exam, we follow are the guidelines from the VMware Exam blueprint 2V0-21.19..
Now, you don’t have to pass the latest exam to become VCP-DCV 2019 certified. Did you know? Note: You must be VCP5, or VCP6. If, not, you must “sit” a class and you have no “Delta” exam option. VMware vCenter Server Appliance (VCSA) has regular updates which bring new features. Not so long ago it was only a black box which you could only monitor with CLI or via console session. Today, VCSA has it’s own management and offers the monitoring of several components like CPU, disks, network, or even services through UI. 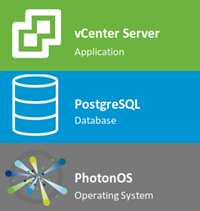 VCSA is composed of Photon OS, PostgreSQL database and vCenter server application. Feature parity was a goal for VMware since several vSphere releases. Now it is. The Linux based appliance has HTML5 management of all functions that Flash-based client. The vCenter on Windows is still possible in vSphere 6.7 but it is the last release. Next major release is VCSA only. Services can be restarted within the UI as well. 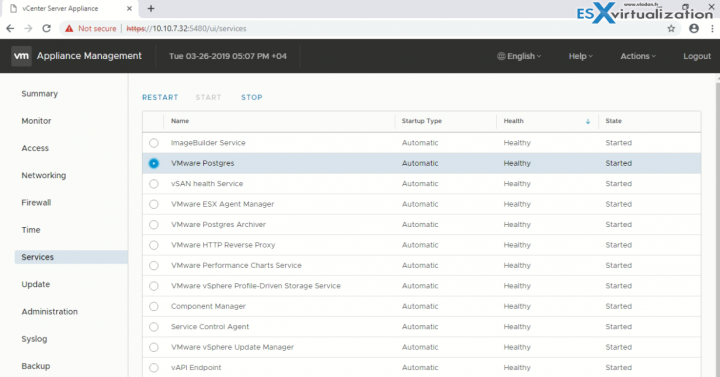 Right after login to the management interface of VCSA through port 5480 you get the overview of the health status. You can see if any of the components (CPU, memory, database, storage swap) are in good condition. If any of the mentioned isn’t, then you’ll see a yellow icon. Here is the summary tab view. Then when clicking the Monitor menu, you’ll get full details of each. This single menu item has all the monitoring you need. CPU and Memory, Disks, Network and Database. With the improvement of monitoring, there are also improvements in alerting. For example, you’ll receive a vCenter alert when one of the disks is getting low on space. The services Menu provides us with a possibility to manage VCSA services. We can start, stop or restart individual services. You can sort individual columns. 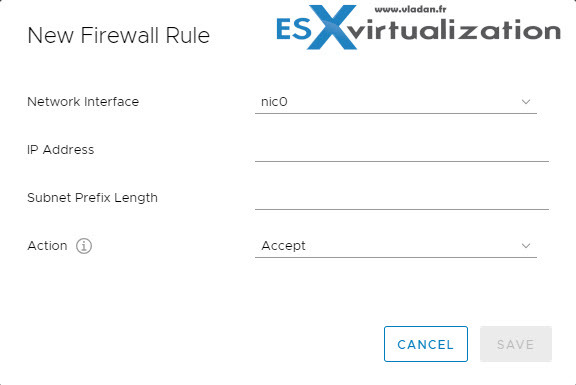 VMware VCSA allows you to create custom rules. You can access the firewall via the menu on the left, navigate to Firewall. After, there you can click on Add menu button to add a new rule. You’ll see an overlay pop-up window appear inviting you to fill certain details. 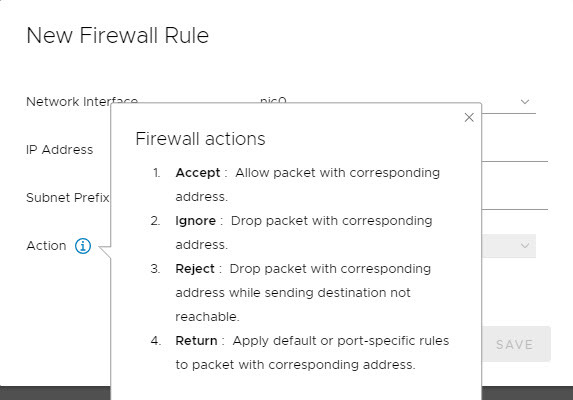 Network Interface – a drop-down menu allowing you to chose the vNIC you want to add the rule for. and here is a screenshot of when you hover the mouse over the “i” next to the Action. You can access the time management through the Time menu and configure the time zone and add NTP servers. All this is accessible through a web browser without any plugin. I won’t go through all the tabs, but you get the idea. 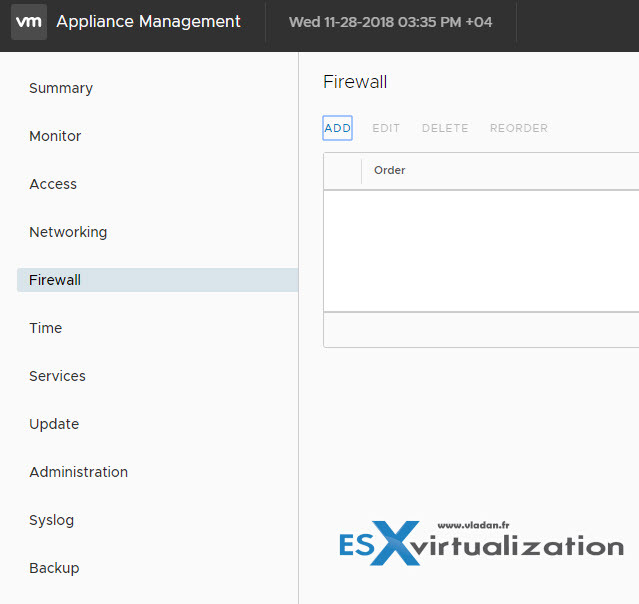 You have all appliance configuration options, including self-backup, accessible through the appliance management interface through the port 5480. While we try to cover everything that’s needed, we do not know what exactly VMware will require you to know for the exam. Use this chapter as a guideline, however, your principal study material should be the Documentation Set PDF, as well as your home lab or day-to-day work with the infrastructure.